Almost one million children urgently need help after an earthquake claimed more than 3,200 lives in Nepal, the UN children's agency said, as relief workers raced to help the most vulnerable. 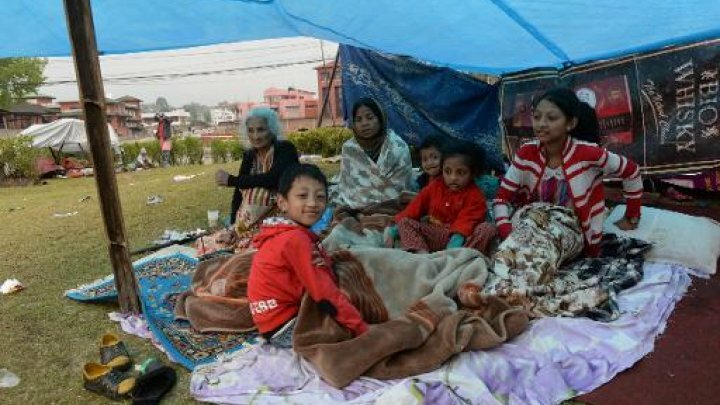 With thousands of children camping out in the open in the capital Kathmandu after their homes were destroyed in Saturday's quake, UNICEF warned of the risk of disease. "At least 940,000 children living in areas severely affected by (the) earthquake in Nepal are in urgent need of humanitarian assistance," it said in a statement. "Limited access to safe water and sanitation will put children at great risk from waterborne diseases, while some children may have become separated from their families." UNICEF said it was mobilising staff and sending two cargo flights with 120 tonnes of humanitarian supplies, including medical and hospital supplies, tents and blankets. The 7.9-magnitude earthquake has devastated parts of the country, destroying buildings and ancient monuments and ripping apart roads, power lines and other infrastructure.